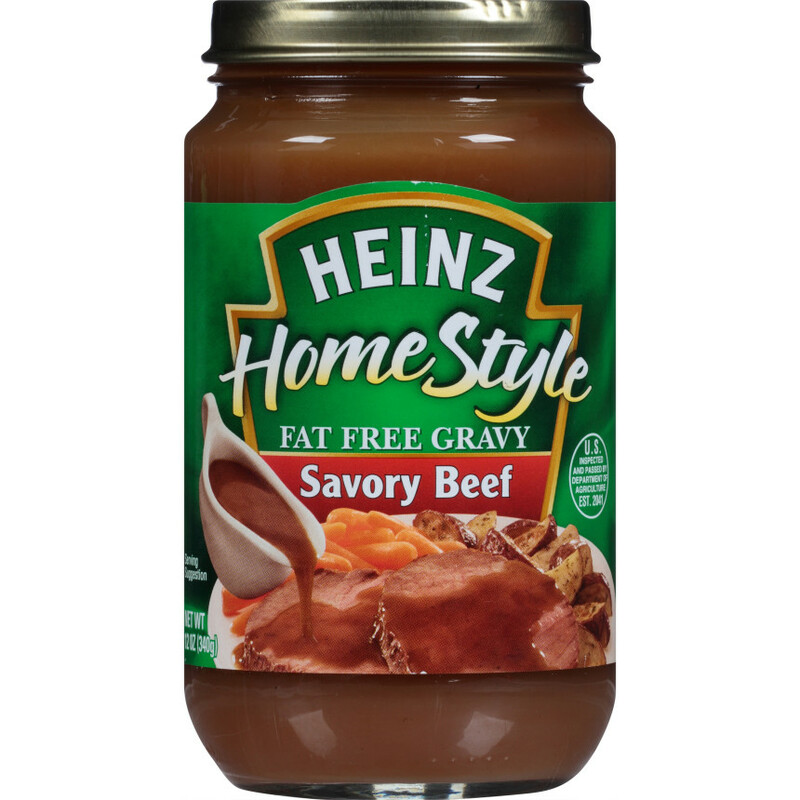 Made with fat free savory beef stock, Heinz HomeStyle Fat Free Savory Beef Gravy makes all of your homemade meals better, from mashed potatoes to pot roasts. 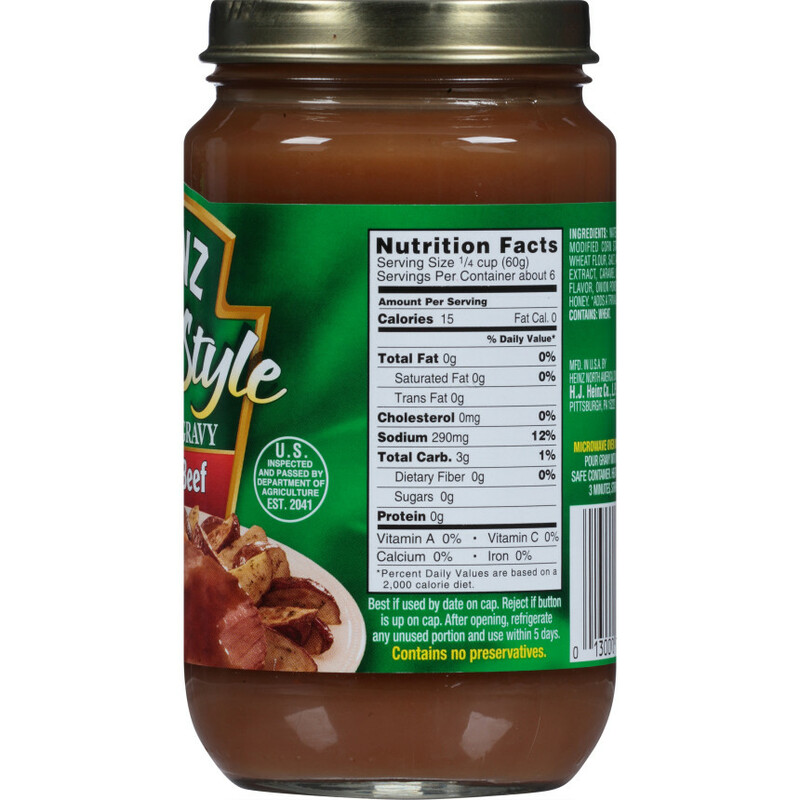 A lighter alternative to our original flavor that livens up every dish. 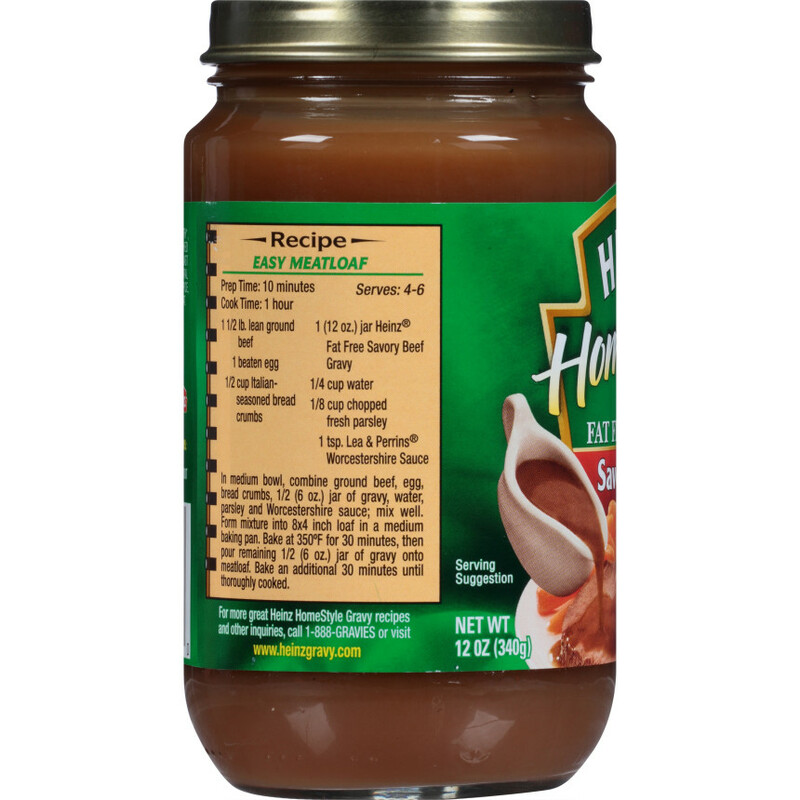 WATER, BEEF BROTH, MODIFIED CORN STARCH, BLEACHED WHEAT FLOUR, SALT, AUTOLYZED YEAST EXTRACT, CARAMEL COLOR, NATURAL FLAVOR, ONION POWDER, BEEF*, SPICE, HONEY. 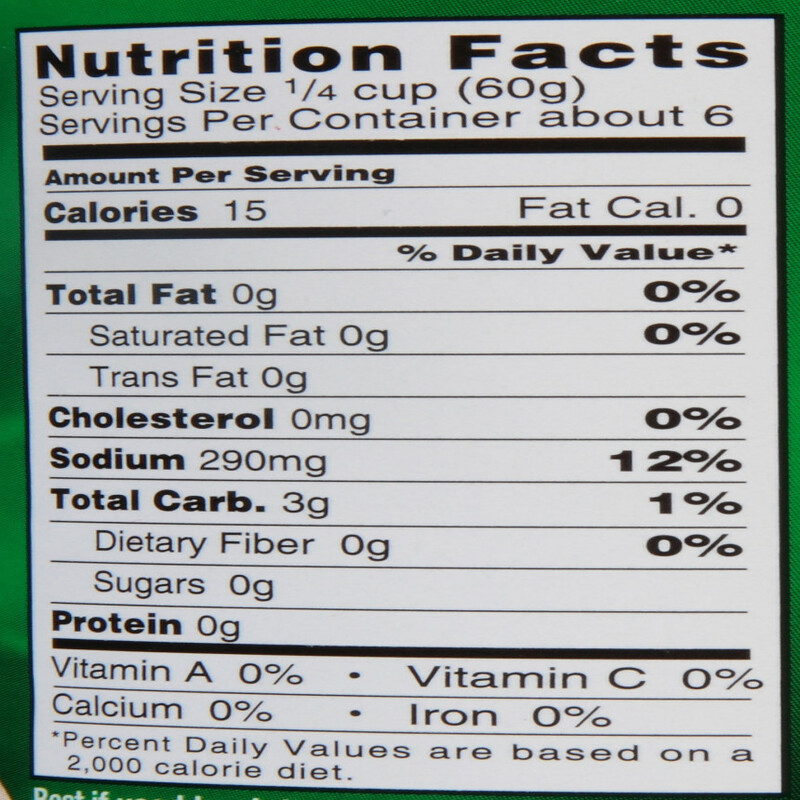 *ADDS A TRIVIAL AMOUNT OF FAT CONTAINS: WHEAT.